The following review was conducted in February 2015. The following review was conducted in October 2012. The following review was conducted in July 2011. 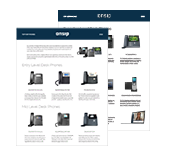 In the past we've looked at additional offerings from Panasonic's line of SIP phones for the hosted and open source market and found that while they started off shaky, through firmware updates and listening to the suggestions of their users they were able to bring the Panasonic phones more in line with the market standards. Having an instantly recognizable international brand sure doesn’t hurt when you’re planning on making a bigger dent in a crowded market. 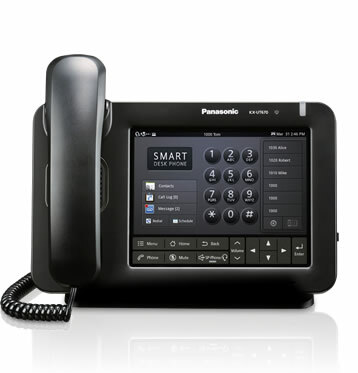 Consumer electronics giant Panasonic recently introduced a new line of corded desktop SIP phones for sale in the US. The name alone might make their offerings enticing to VoIP newbies - businesses that are understandably unfamiliar with SIP phone manufacturers that have been doing this for years. The following review was conducted in February 2012.